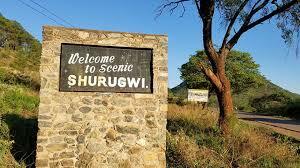 SHURUGWI- A man from Sebanga in Shurugwi severely assaulted his wife allegedly because the latter’s mother had found her a boyfriend. There was drama in the court when Fortune Nyakudya (25) apologised to his wife Yolanda Pembamoyo for beating her but she refused to accept the apology and openly declared the end of the marriage in the court. Nyakudya said he saw his mother in-law introducing her daughter to her now boyfriend and the boyfriend went on to passionately touch Pembamoyo in the presence of the mother. “I saw a man passionately touch my wife in the presence of her mother at Mambowa Business Center. When I asked Pembamoyo she told me that her mother was introducing her to the man who was touching her. Pembamoyo said she was no longer interested in Nyakudya and refused to accept his apology in court. Nyakudya was fined $50 or 30 days in prison. On January 16, 2019 at 7pm Nyakudya accused Pembamoyo for having extra marital affairs. He became violent and assaulted the complainant by striking her once on the shoulder with a fists, head butting her once on the head.